If you’ve been on the fence about trying content marketing for your business, but are finally ready to give it a try, this is the post to read. It’s written for you bootstrappers. We assume your marketing “team” is one person. We figure your budget is more garage band than Fortune 500. And we understand you probably aren’t doing this as your full-time job. Don’t let those limitations stop you. Here’s what you’ll need, how to get started, and how to grow from there. It’s probably going to take a few months to see a return on your work. It’s not like you aren’t going to see any results, but it could take a few months for the time and money you invest here to pay off. The good news is we’ll keep your overhead low during the build up. Didn’t scare you off? Excellent. Let’s go. A simple website will do. 5-7 pages is fine. A free WordPress install with a nice free theme is all you need. An email service provider account. There are dozens of options, but let’s go with a free MailChimp account. A Facebook account (whether you’re in B2B or B2C). A way to make simple graphics and to edit images. Canva or Stencil or Buffer’s Pablo are all AOK. If you are completely void of design skills and have a little budget, consider design services like Undullify, Brand Strong or Design Pickle. We recommend Scoop.It. It’s what I’ll be using here. There’s a free version. This free analytics tool will show you how traffic to your site increases over time. It’ll also let you set up and track “goals”, so you can see if your work is… well, working. Alternatively (if you’ve got budget) Scoop.it Content Director does analytics and more. It’s built for content marketers. A way to make landing pages. There are tools like Unbounce for this. Or there are a slew of WordPress plugins. Or you could just create WordPress pages. But it is important that you can create pages specifically meant for a certain type of visitor. Especially if you’re in B2B or you expect to be creating some text-based content. Video is terrific for content marketing, so if you like cameras, go for it. Optional, but recommended if your business is image-friendly (like a garden design company, a retail business, or a hair-dresser). To build an audience of potential customers by creating and sharing content. Pretty simple, right? We’re going to be building those audiences on social media, but the real goal is to get them to join your email list. You have more control over your communications with them via email, and they’re also far more likely to buy from you via email. Now about the content creation and sharing part. We’re going to start with content curation – that’s where you find other people’s content you like, then you add some comments about it, and you group the content pieces together in interesting ways. It might sound suspiciously easy, but there are thousands of successful content curators around the web. Why are we doing this content curation stuff first? Why not launch into a big research project or an ebook, and then break that big piece of content into a dozen little pieces of content? Because we can’t be sure – 100% guaranteed – that it’ll work. What if the topic you pick for that huge content piece isn’t quite what your audience is into? What if your content creation skills still need… some work? What if your content does well, but you aren’t yet good and converting traffic into leads? Then you’ll have invested a big lump of money and a big chunk of time into something that doesn’t work. But if we start small, then you can use other people’s content to find out what your audience really likes. And you can use that same content – that other people have created – to grow your audience, get leads, and get search engine traffic. Another reason we want to start small is money. Good content is expensive, both in terms of budget or in terms of time. If your budget is tiny, investing a big lump of money up front may be impossible. It might also cripple your ability to promote and reformat that content later – two tasks that are almost as important as creating the content itself. So that’s why we’re starting small with content curation. After you’ve curated for a couple of months, you’ll know way more about what your audience likes and what they actually respond to. You’ll have an efficient little content marketing engine set up. And you’ll probably be seeing at least a trickle of results, which means we can track those to expand on what’s working. Ready to go? Let’s get started. 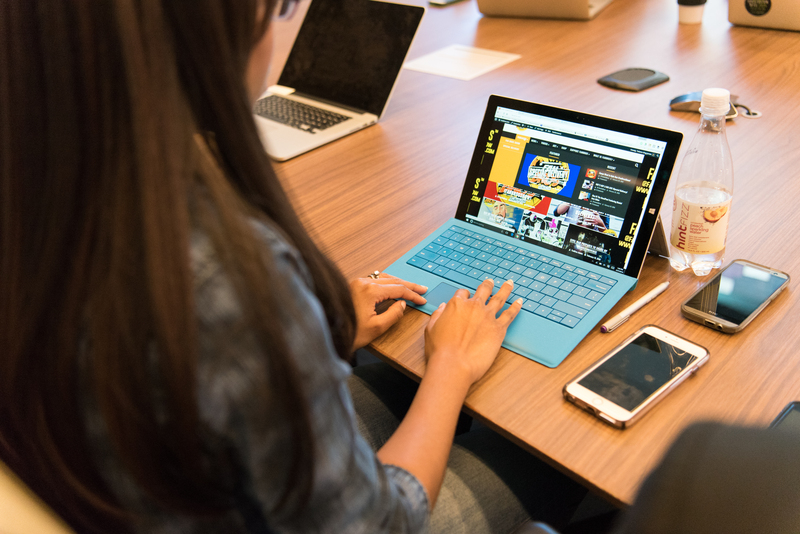 Your website is the central core of your content marketing work. So while it might be tempting to just stay on social media at the start, don’t. Besides, you only need a couple of pages on your website. So long as it’s attractive, mobile-friendly and loads fast, we’re good. Use a basic, mobile-friendly template. Add a couple of sign-up boxes to your site. Write a clever welcome email. That’s all you need to do for now. Stick with two platforms for now. Probably Facebook and one other. Now that you’ve got the accounts, start filling them with curated content. Follow formatting best practices to increase engagement, and pay attention to your analytics. You want to see which times are optional for posting, and which content gets the most interest. Jump-start this by following a bunch of people/companies in your niche. Then boost your efforts by advertising some of your posts that get the most attention. After a week or two of posting, you’ll have a handful of posts that did unusually well. Tie them together into a curated blog post. 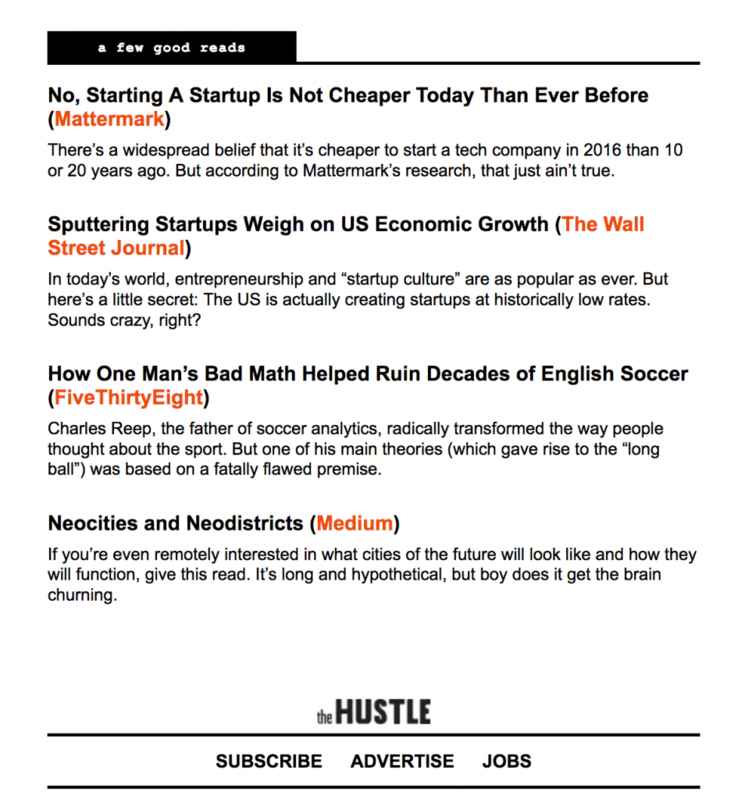 To make this newsletter work, you’ll also need to be building your email list at every opportunity. So add in some prompts for that on social media, and sprinkle your blog with calls to action to join your list. Or, if you are just itching to create some content, try a “content upgrade” at the close of your blog posts. By now you’re underway. And if you get inspired to create a little content here and there, that’s awesome – post it to social and on your blog. But keep up the curation via social media. Keep creating those curated blog posts, and sending those curated emails. Your audience expects them! Hire a subject expert or influencer to create some content for you (this might also expose you to their audience). Partner with another company to do a webinar or some kind of research. This is a double win because you’ll get exposure to their audience. Write an ebook or create a few resources you’re sure your audience really needs. Send a survey to your audience to see what they want you to create. Whatever you do, plan on reformatting this content investment into as many formats as you can stand. We’ve got a whole blog post on how to get more mileage out of your content. And don’t just share it once. 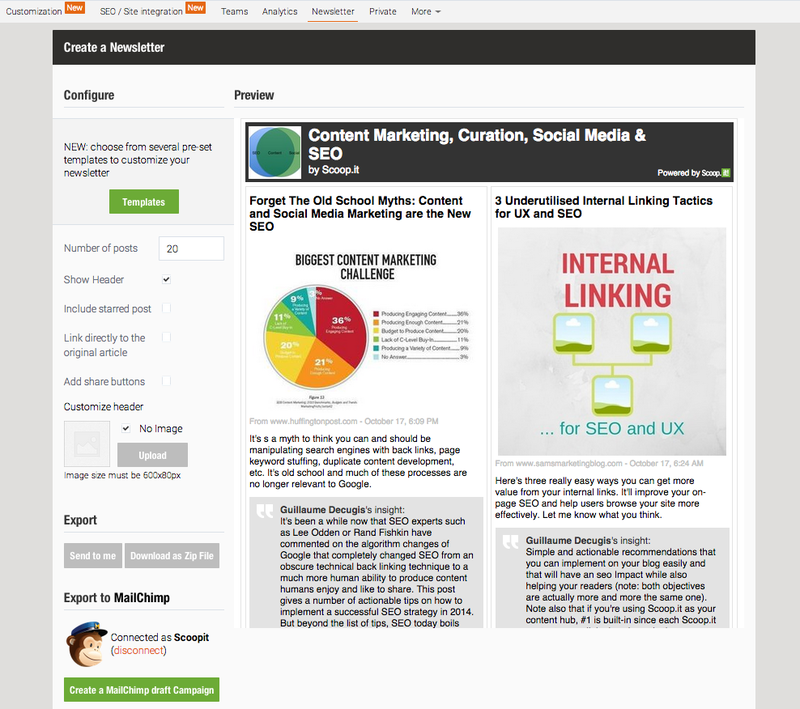 Use a tool like Scoop.it Content Director to re-share your in-house content and your best curated posts over and over. Adding these “greatest hits” to your rotation means you’ll probably get more engagement and more results. You’re starting to get some traction. I’d expect this phase of your content evolution to take about a month, maybe six weeks. High-quality content takes time to produce, and because you’ve converted it into so many formats, you’ll have several weeks of new content to dole out to your audience… slowly. And you’ll still be curating through all this – about 70-80% of your content will still be curated. By now you’ll have a modest body of work in your content hub. And if you’ve been tracking goals in analytics, you’ll know which content is performing best. And by “best”, I mean in terms of leads, inbound links, and website traffic. By now, we’re about in month three. By now you’re even savvier about what your audience wants. You’ve got hard data about which content formats and topics work. So go make more of it. Partner with influencers or other companies if you have to. And as before, reformat the bejesus out of whatever you create. Then spoon-feed it to your audience over time, supplementing with curated content. This will get you to about month four, four and a half. There’s more to content marketing than just producing content. Each one of these steps needs to be done for every piece of content you publish. Spend month five refining your systems. If all has gone well, you’ll be able to prove a positive ROI (return on investment) by this time. If you aren’t seeing good returns, check your analytics. Pare back to what does work, then strategically re-build from there. Do a mini content audit if you have to. You’ve got some good content assets by now, and a reasonably-sized social following and email list. Those are valuable assets (and sunk costs). Keep in mind that the work you’ve done for link-building and SEO may take a few months to show fruit. Just stick with it, and run as lean a content marketing machine as you can. Speaking of which… if you want to get the deep dive version of how to develop your own content marketing program, we literally wrote the book on it: ROI or RIP: The Complete Content Marketing Handbook for SMBs. There’s no need to drop $10,000 (or $50,000) on a content marketing program launch. You can start small with curated content and grow from there. The key thing is to track what works, and then to optimize and expand from there. It takes a little time, but it saves a lot of money. And work! 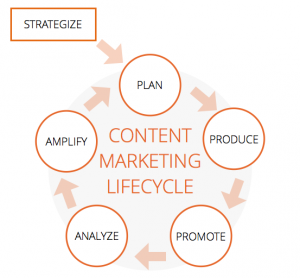 How did you get your content marketing program off the ground? 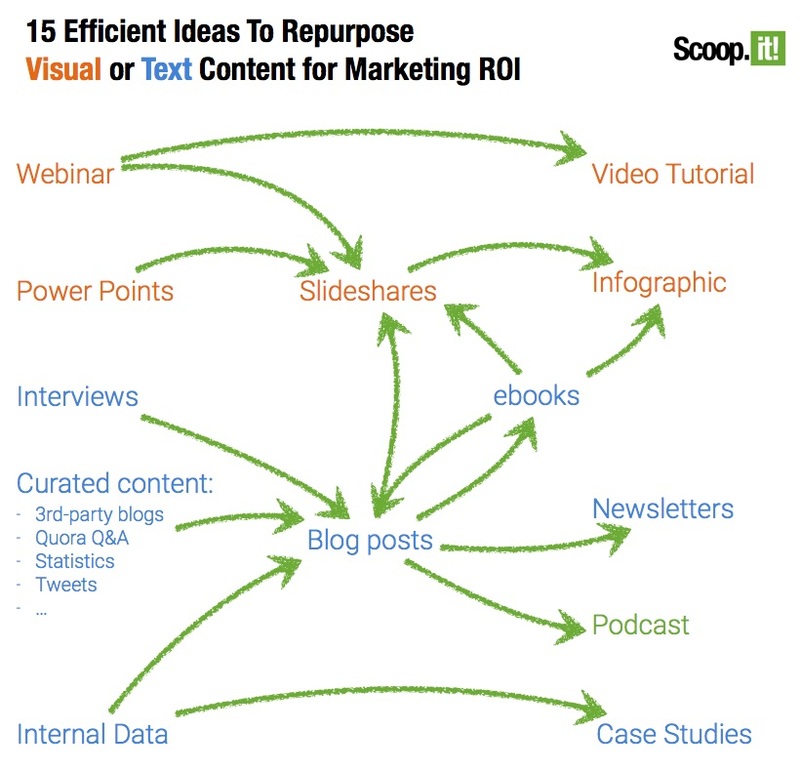 Did you leverage curated content to get there? Leave a comment and tell us what worked for you. 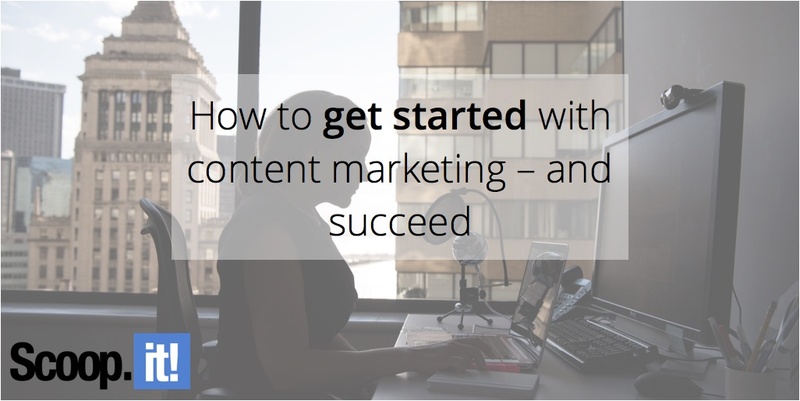 1 Comment on "How to get started with content marketing – and succeed"